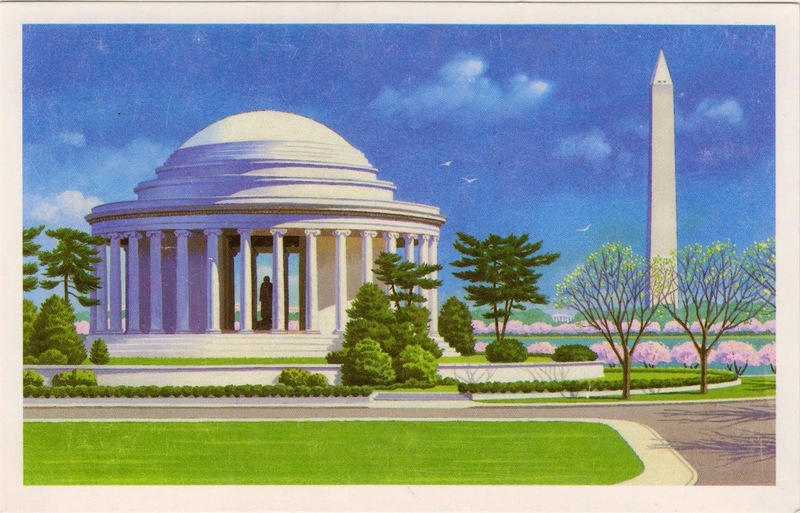 Outgoing postcard US-3238647 sent to Crimea on this Presidents' Day was one of first two stamped picture postcards ever issued by USPS in 1989, featuring the Thomas Jefferson Memorial, a presidential memorial in Washington, D.C. dedicated to Thomas Jefferson (1743–1826). One of the most important of the American "Founding Fathers," Thomas Jefferson was the main drafter and writer of the "Declaration of Independence" and served as the third President of the United States from 1801 to 1809. He was also the founder of the University of Virginia at Charlottesville, Virginia. 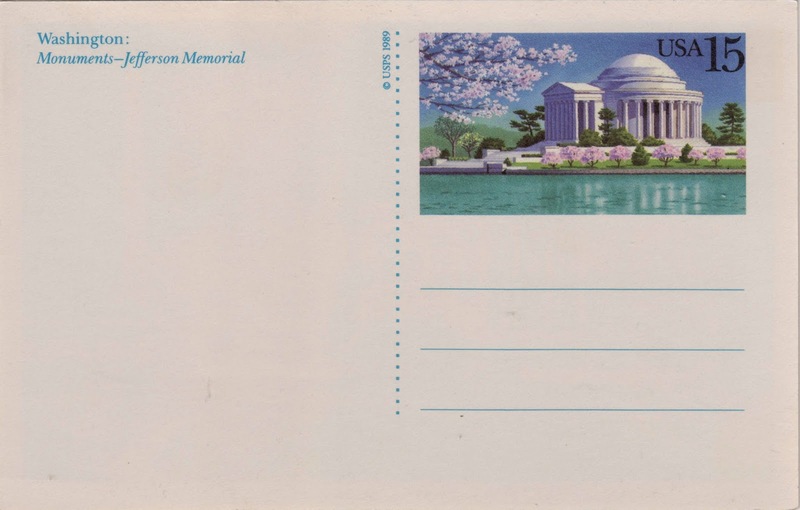 The postcard costs 50 cents each in 1989 with 15 cents postage featuring the Tidal Basin landmark framed by cherry blossoms. The other postcard issued at the same time features the White House with a view from the south lawn.